Education Futures and Fundación Ceibal (Uruguay) are pleased to share the outcomes of their 2-month research project for the Secretary of Public Education of the State of Puebla (“SEP-Puebla,” Mexico). 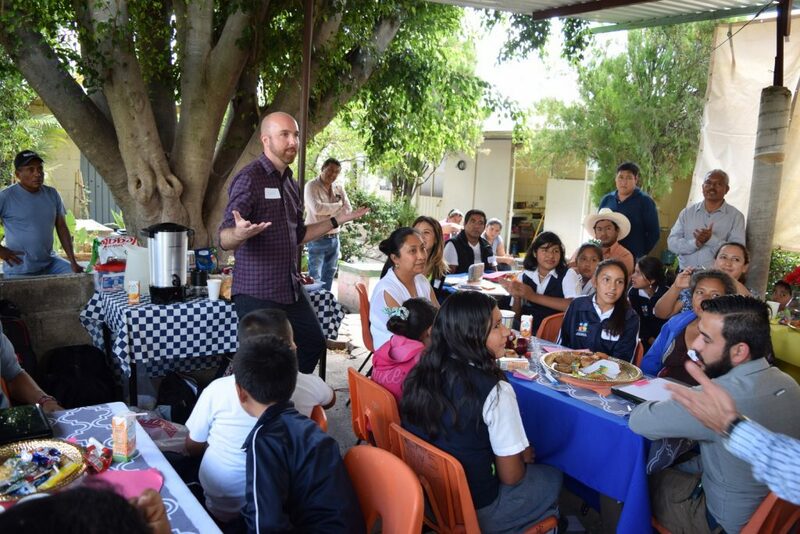 Dr. John Moravec served as the primary investigator for the study La innovación educativa en Puebla: Las voces de los actores. Click this link to read the full report (in Spanish). The SEP-Puebla identified the need to assess the main achievements, challenges and future actions for developing a better future for education in the state of Puebla. The innovative feature of the study relied in directly involving and listening to local actors (students, teachers and parents), who are affected by educational policies. Moreover, this is related to the increasing use of digital technologies, its associated practices along with the new challenges and opportunities for the teaching and learning processes. In the case of Mexico, it is particularly important to assess the challenges associated with the implementation of the national program for inclusion and digital literacy, the Programa de Inclusión y Alfabetización Digital. The research was developed in three phases. The first was based in a survey to assess people perceptions about different topics. The data collected informed the development of the second phase of the study, based in the World Café methodology. The use of this open and inclusive methodology fostered a collaborative exchange between participants around four thematic areas: New ways of knowing, learning, teaching and assessing; Teachers in the Digital Age; Social uses of ICT and digital culture; Resources and Platforms. The third phase included the data analysis and final reporting. Which achievements of the current administration of SEP-Puebla you consider more relevant? Looking forward, which are the main challenges faced by education? What kind of innovations are needed in the educational agenda? Which actions and actors should be taken into consideration in the educational agenda strategic planning in Puebla? The questions above, were jointly developed with SEP-Puebla. Despite the fact that the use of tablets in schools and the implementation of the program @aprende.mx were relevant parts of the study, the research trascends those topics and is focused in capturing the voices of the actors involved. The research concluded with recommendations that aim to help thinking in innovative strategies for promoting ICT access and use in the state of Puebla. These are structured around three main areas: Flexibility for promoting new teaching and learning mechanisms. Self-efficacy through the promotion of sustainable and decentralized models that stimulate innovative practices, collaborative work and solidarity. Community culture that creates value from the exchange of knowledge among communities.